Have you ever fancied the adrenaline rush that comes from hurling yourself out of an aeroplane? Well, now you can experience this and raise money for Pancreatic Cancer Action at the same time. 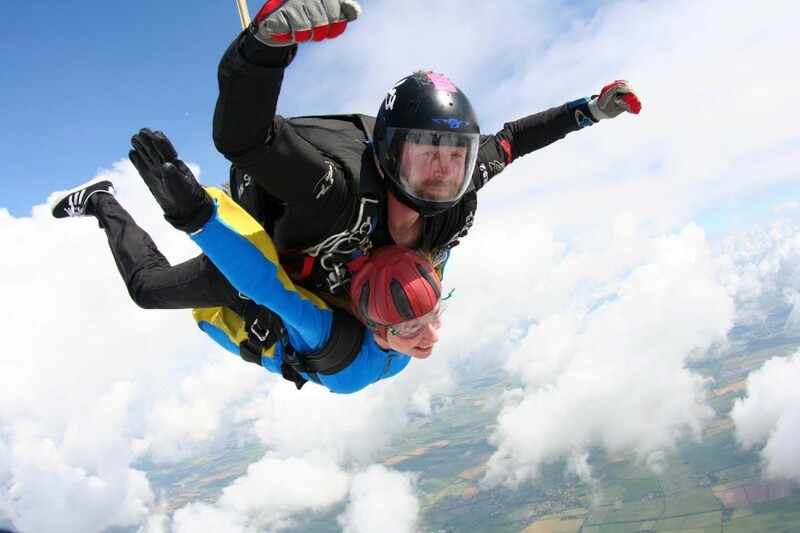 Our skydives are professionally managed by UK Skydiving Adventures Ltd and Skyline Parachuting who both have a wealth of experience within the skydiving Industry. Please note: Some charity jumpers decide to deduct the cost of their jump from their sponsorship money. This is completely at the discretion of the charity jumper and if you do decide to do this you should deduct the cost of the jump prior to sending Pancreatic Cancer Action your sponsorship money. Please note that online donation websites such as Just Giving and Virgin Money Giving will not give you the opportunity to claim the cost of your experience from the donated sponsorship money prior to sending to the charity. For ages of 16 to 54 (parental consent required for under 18s). If aged 40 years or over, a medical certificate signed and stamped by your doctor is required. Check with the centre regarding weight limits. For ages 16-54 (parental consent required for under 18s). If aged 40 Years or over a medical certificate signed and stamped by your doctor is required. Check with the centre regarding weight limits. For an Information pack and general enquiries email [email protected] or call 0303 040 1770.